Body image. 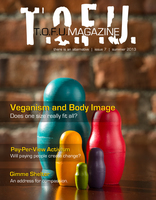 It's a topic that conjures up plenty of ideas and opinions within the vegan community, and others as well. 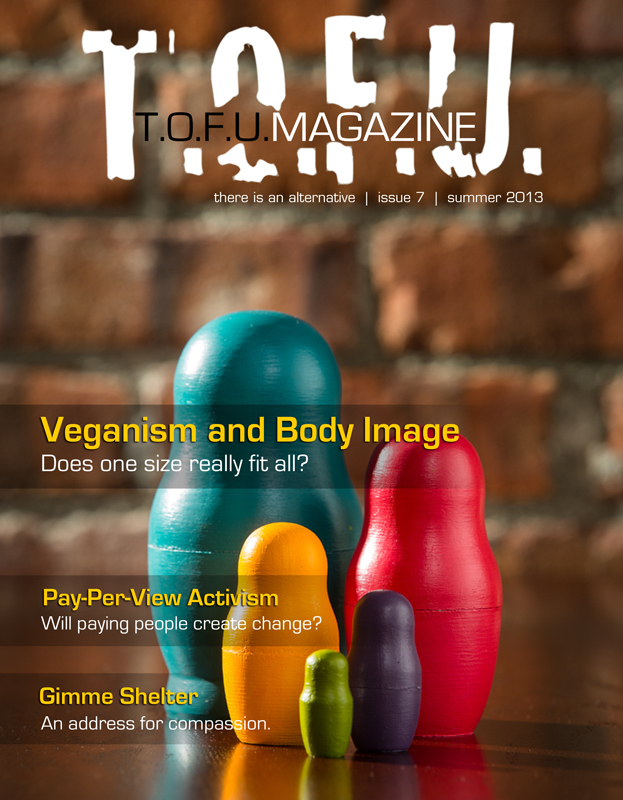 But, as vegans, are we helping or hindering the movement toward a better world for all sizes? As the focus of this issue, a number of contributors tackle this question from their personal experience, and give us some direction on where things should go from here. Along with this, issue seven contains plenty of recipes, DIY, activist, and life articles to keep you warm on a rainy day. Or busy on a long train ride. Or distracted during another "where do you get your protein?" conversation.